Perhaps one of the most eagerly awaited video games of summer 2016 is no doubt No Man’s Sky by developer Hello Games, a game with a sci-fi setting that combines space and planetary exploration, combat and first-person shooting in one package. Although many gamers who were anxiously waiting for the game’s release were disappointed when Hello Games announced last June that the game would be delayed, thankfully No Man’s Sky release date on August 9 is just around the corner. 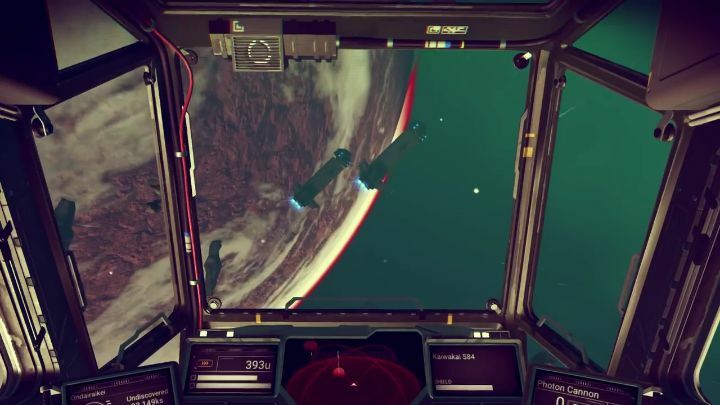 And in order to whet player’s appetites for the game, developer Hello Games will be releasing four trailers covering different aspects of the game, having put out the first “Explore” trailer recently. This trailer focuses on what perhaps is the highlight of the game, the fact that players will be able to explore an almost infinite number of planets, which will be procedurally-generated in the game. This means that no two playthroughs will be the same, and that players will have many unique experiences to share, adding to the social appeal of the game. In the video we also see how diverse No Man’s Sky planets will be, featuring unique lifeforms like the dinosaur-like creatures seen in the trailer (plus underwater creatures too), and also many unique and rare plants can be found on the game’s planetary surfaces. It remains to be seen though, whether No Man’s Sky gameplay will be engaging enough to keep players busy in the long run, but judging by what we’ve seen of the game so far, it looks like No Man’s Sky is shaping up to be one of the year’s video game hits when its released early next month.